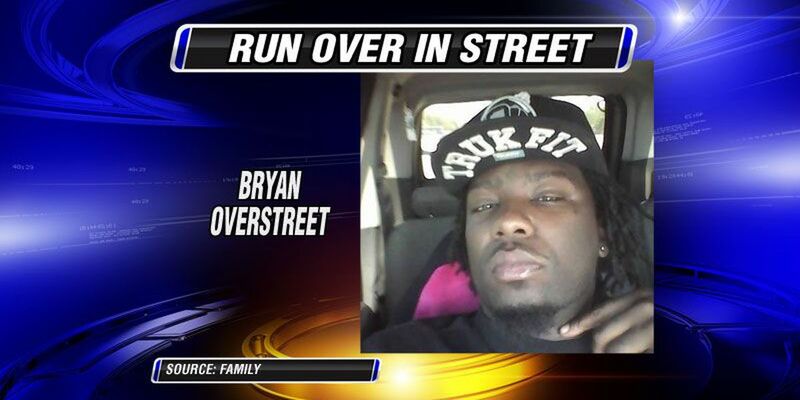 SYLVESTER, GA (WALB) - Many questions remain over the death of a man hit by a sheriff's office patrol car. 30-year old Bryan Overstreet was run over by a Worth County deputy while lying in the road early Tuesday morning. The tape is still up off Highway 33 just south of Sylvester. Spray paint marks the spot where Overstreet was lying before and after he got hit, but the biggest question--why he was in the road--remains unknown. Traffic flows on highway 33 in Sylvester, not knowing the questions and doubts the crime scene and spray paint leave behind. "Prior to him getting hit, something happened to him," said cousin Santangilo Howard. Troopers say 30-year old Bryan Overstreet was lying in the road when a Worth County deputy accidentally ran over him. Overstreet's cousin thinks there's more to the story. "I don't think that they killed him, and I don't think that they should just, you know, end the case like that like 'oh yea we hit him. No ones going to be charged.' I feel like they should look farther into it," said Howard. Investigators believe that Overstreet died when the front of the patrol car hit him in the head, but his family insists there's more. "I just feel like it was foul play; I feel like if something did go wrong, we have the right to know," said Howard. Because of these concerns, the Worth County Sheriff's Office is investigating the issue more and Overstreet's body was sent to Macon for an autopsy. "The reason he was laying in the middle of the road for undetermined reasons we don't understand but we're trying to figure out what caused him to be in the middle of the road before the deputy come along," said Sheriff Jeff Hobby. But for now, this death remains a tragic accident, and family members are left with memories. "Everyone knows Bryan around town. everyone knew him. Everyone knew he was a, you know, he liked to drink and there's nothing bad about him. He didn't bother anyone. He just liked to live life and have fun," said Howard. The sheriff tells me at this point, it's impossible to know why Overstreet was in the road. If you have any information that could assist in this investigation, you're asked to come forward.